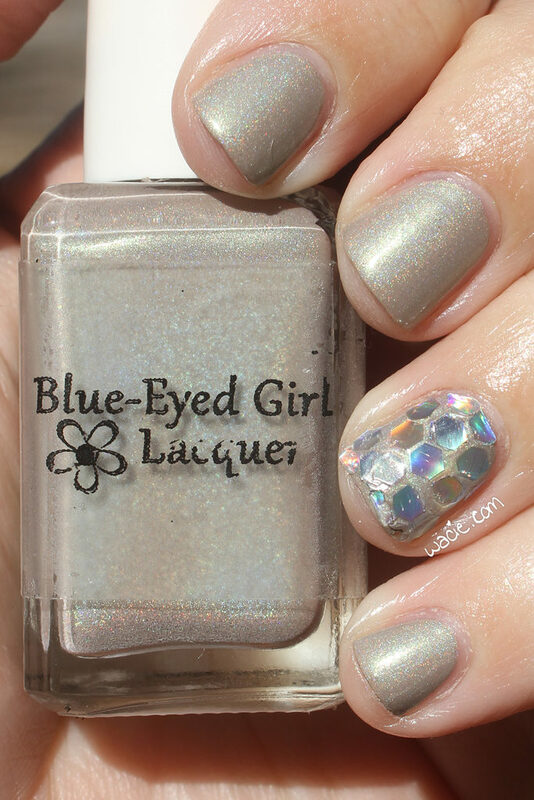 This entry was posted in Manicure Monday and tagged Blue Eyed Girl Lacquer, glitter, hand-placed glitter, holo, indie, neutrals, silver. Fun look! I don’t have the patience to hand place glitter. Kudos! 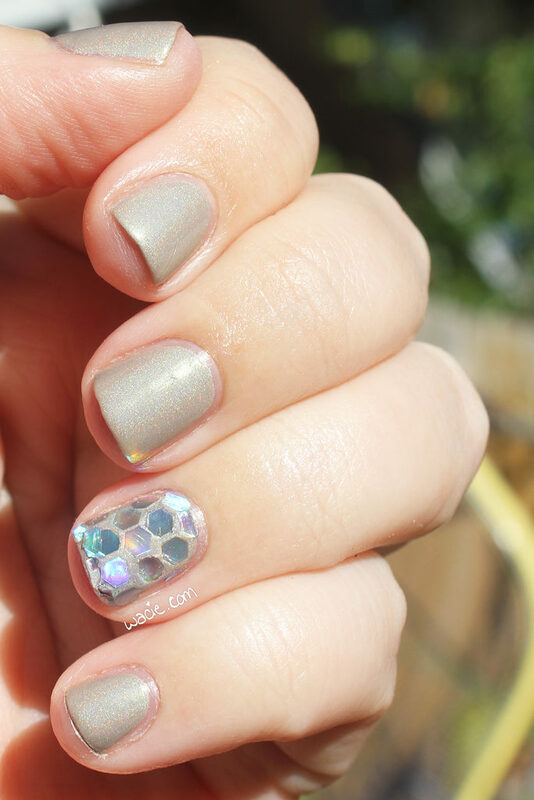 The glitter placement looks like a disco ball! I think you did a great job! I like how you did your accent nail. It must’ve taken a lot of patience to lay that glitter down. 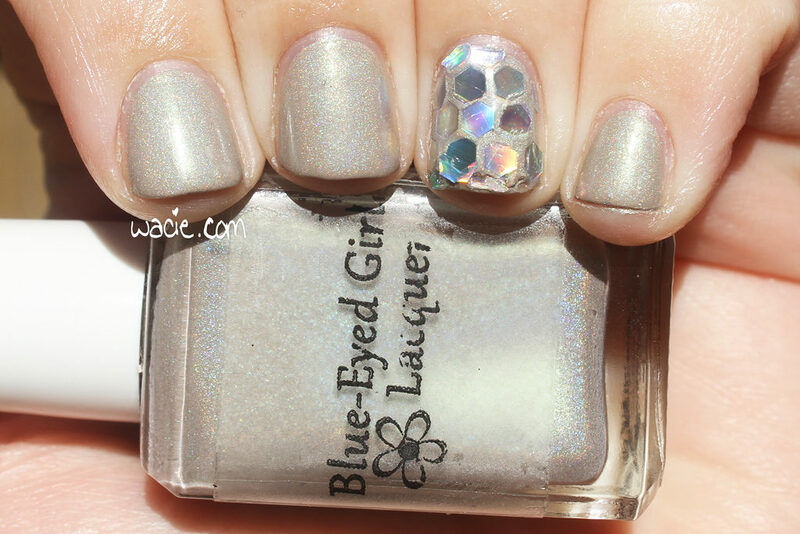 I have seen so many pretty shades from Blue Eyed… this one is gorgeous and totally one I know I’d love. 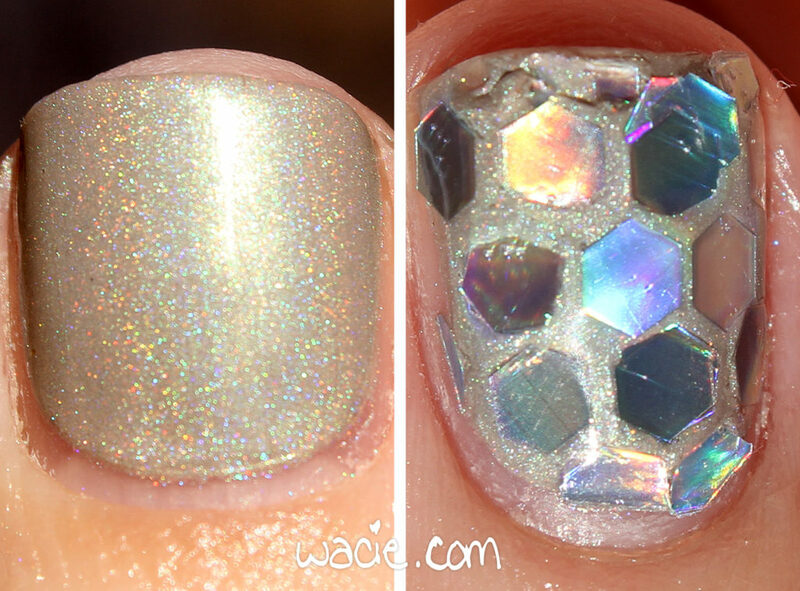 The perfect disco ball! 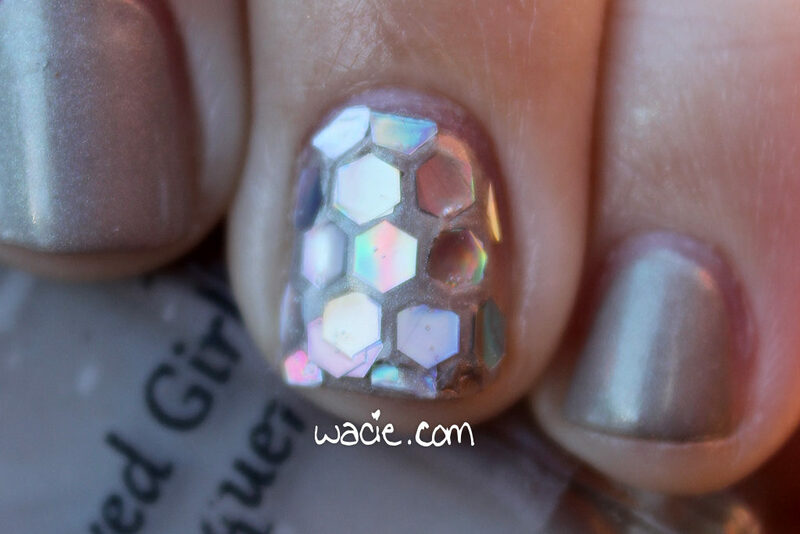 I love the hand-placed hexa glitter. 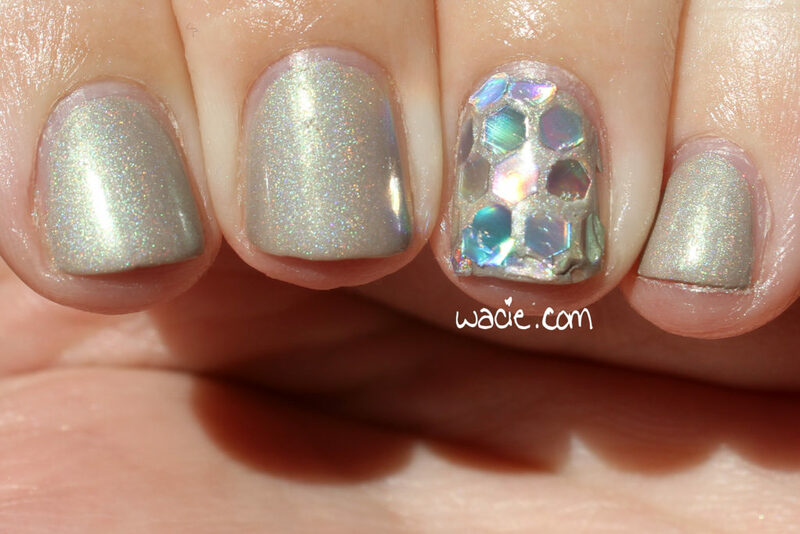 Beautiful shade and your glitter placement is the perfect accent. This is super cute! 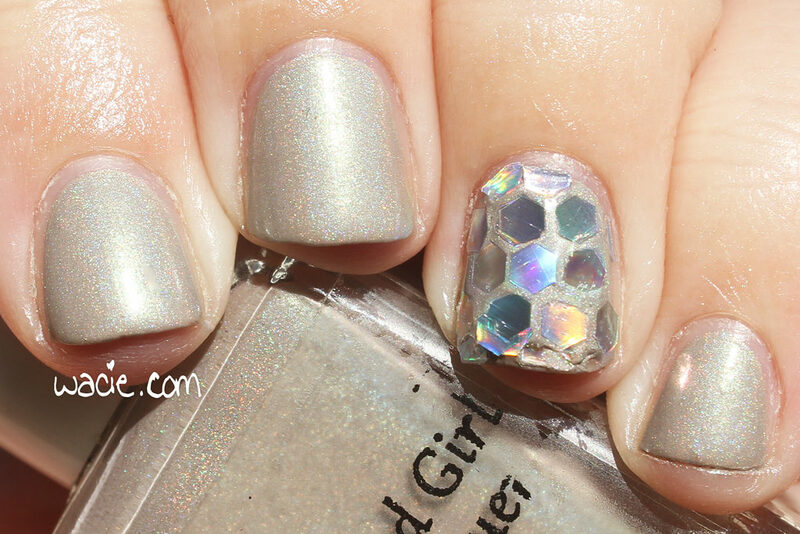 Love the glitter placement, but I am not that patient! It actually didn’t take too long! When you use big glitters, you need fewer of them, especially on short nails. If I’d used a smaller glitter than this, I would have given up. Tact was part of the collection that got me hooked on BEGL to begin with! I love manicures that just have one accent finger — it keeps it more every day for me, but still gives me the pop I like. Love this design! What a gorgeous color! I’m especially loving it with the accent nail you paired with it. Ah glitter placement is my nemesis! You did a great job and actually really enjoy the combo.